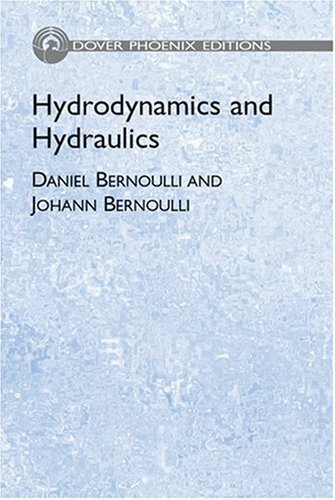 Daniel Bernoulli's Hydrodynamica, published in 1738, marks the first appearance of many topics central to modern science, from the kinetic theory of gases to the principles of jet propulsion. John Bernoulli's Hydraulica, published in 1743, supplements his son's book and deals primary with hydraulics. 104 illustrations.